Watering: needs consistent moisture, but avoid water-logged soil. 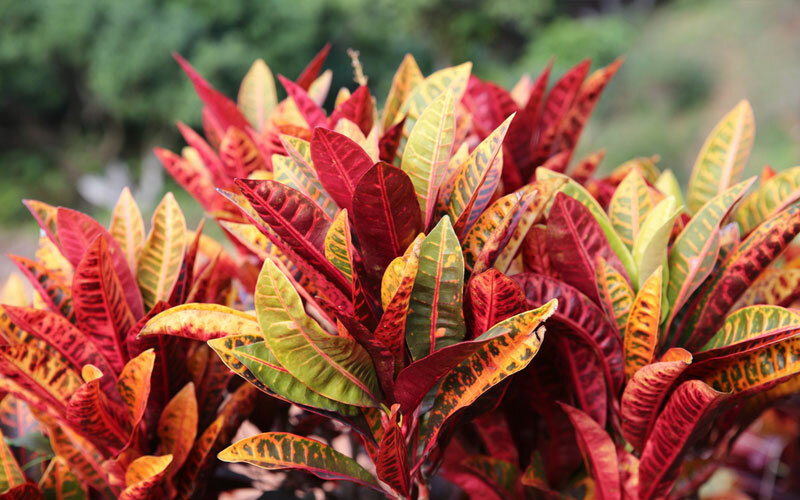 Crotons have often been called the world’s most colorful plants. There are more than 100 varieties with many shapes sizes and color patterns. Cut back to stimulate bushiness if plant grows too lanky. Can grow to 6 ft.